We found out that kids are checking out my books electronically at school through this really cool subscription program called Epic. I’ve been hopelessly out of touch because I’m still in the “I like paper books” camp. You know what this means? 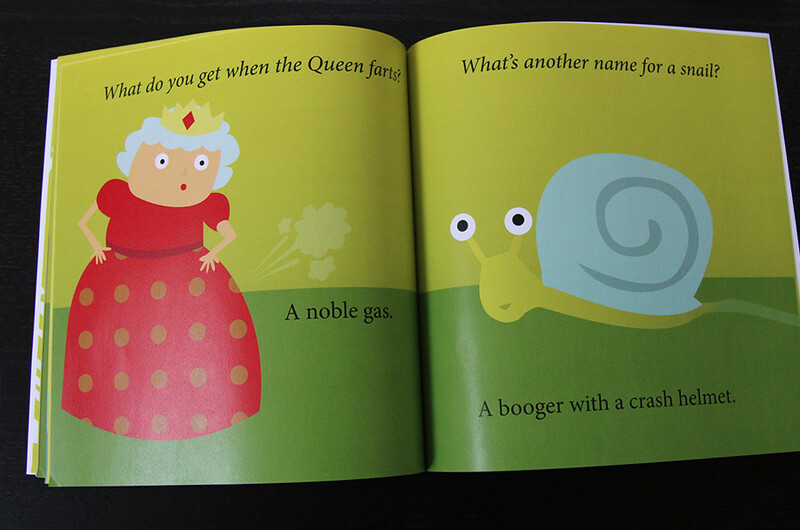 Parents don’t buy my books. Kids do. 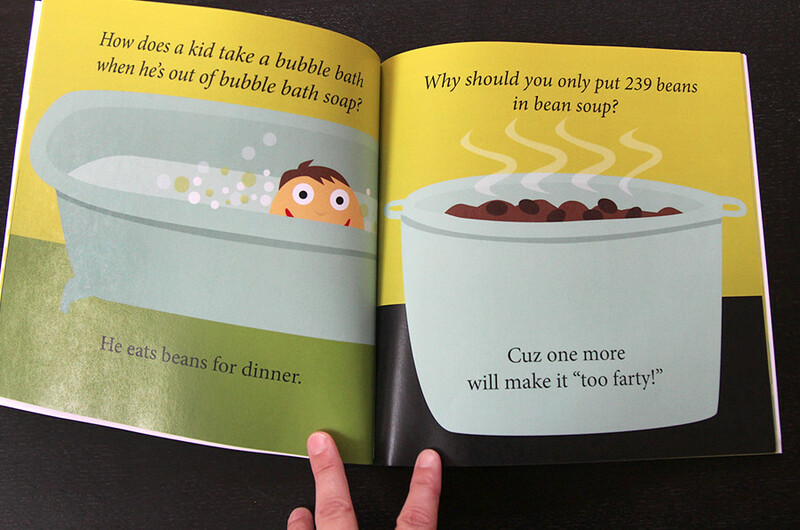 Because of this new found fact, I decided to write the most kiddish joke book I could. 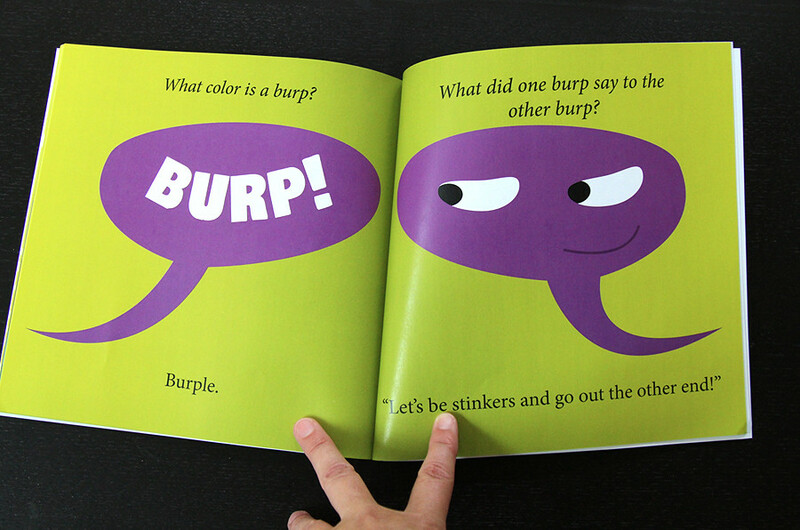 In fact, it’s all about farts and boogers and slime and guts. Your fifth grader will love it. And your sixth grader and your three-year-old and your husband too. It was a blast to illustrate. I constantly had to ask myself questions like: Do I really want to go there? 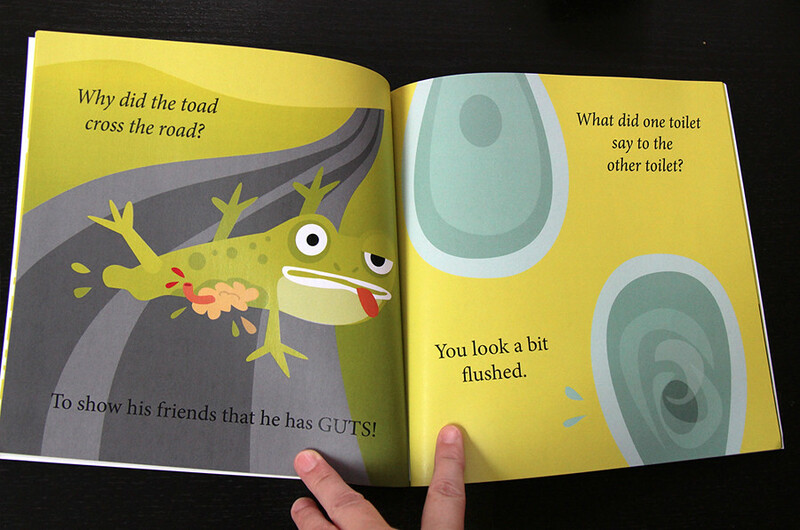 How can I illustrate frog guts without it being completely disgusting or maybe it should be completely disgusting? What’s the best graphical way to illustrate a toilet? Seriously. I think this is my favorite spread. I pull this one out at parties. I put a really nice note at the back asking kids not to read it too many times because we all know what it’s like to sit in the car and be read jokes aloud to over and over and over and over. In fact, just don’t leave this book in the car. That’s a bad idea. But here’s the deal. I need some reviews. If you’ve already purchased this book (Thank you! You are awesome!) please go to wherever you bought it from (amazon) or (barnes and noble) and leave a review. Preferably a good one but I like honesty too so let it rip. 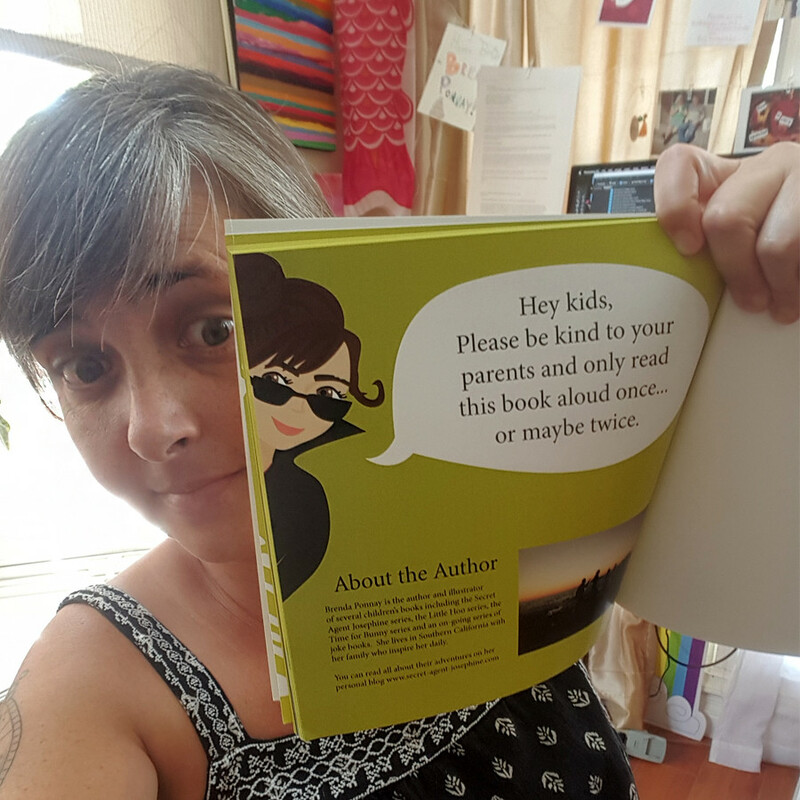 If you haven’t bought one you can leave a joke in the comments and I will pick one random commenter (or maybe not so random because your joke is so funny) to mail a paper copy to! 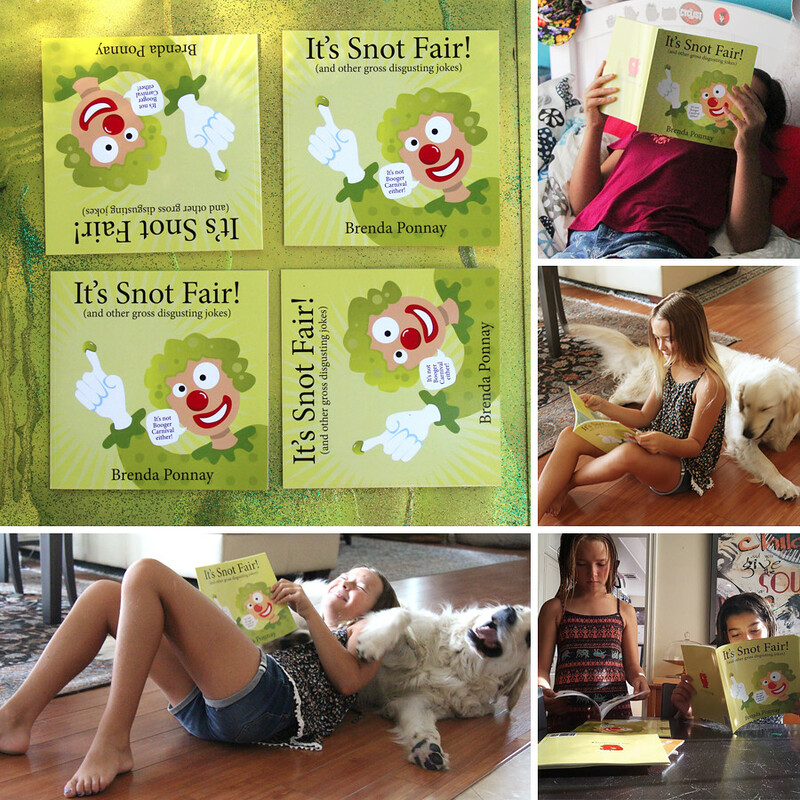 If you don’t want to take your chances on winning a free book but you really really need this book for your kids or whomever for Christmas, please rush out and buy it! It helps me pays my bills and I am eternally grateful! 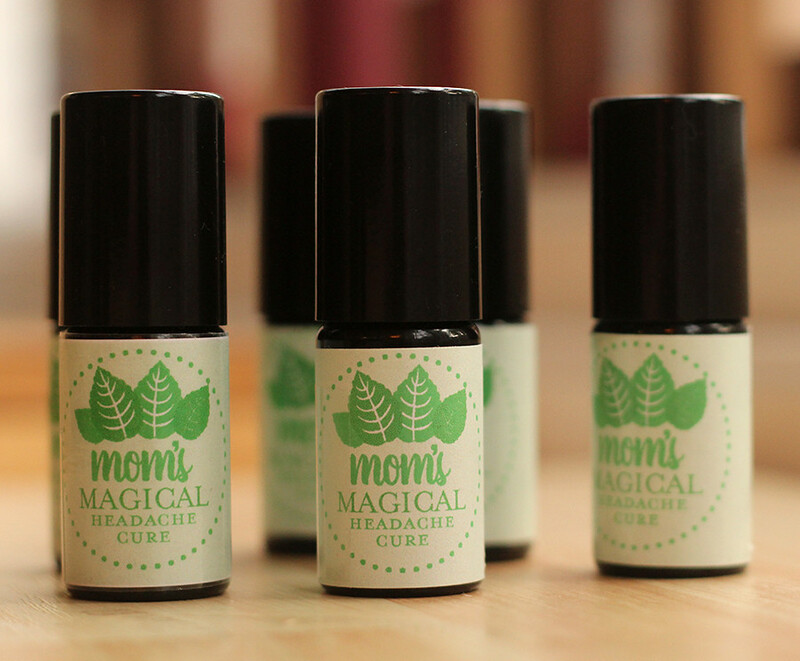 Mom’s Magical Headache Cure – and a giveaway! This year I experienced my first migraine headache. Wow. They are something else. I’ve been lucky enough to have only had two so far but boy, did they do me in. I’ve never had to actually stop my day and go to bed over a headache before. It’s terrible! My heart goes out to all of you who suffer through them regularly. Usually when I get a headache I just drink some coffee and pop an advil and they’re gone. Maybe, if it’s really bad, I’ll close my eyes and try to imagine I’m a pat of butter melting in the sun. But lately I’ve stumbled across another trick: peppermint! I have a friend who is an essential oil fiend. She’s got oils for everything. She even has a diffuser emitting orange peel scent in her car! I haven’t actually jumped on that bandwagon but I do love me some peppermint oil at the right time. Like when a headache is coming on. I won’t say that it’s a magical cure for migraines but I definitely go to it as my first line of defense. That and drinking water of course. All you have to do is put two or three drops of peppermint oil on your fingers and gently rub it into your temples, making sure not to get it too close to your eyes of course because it can sting! 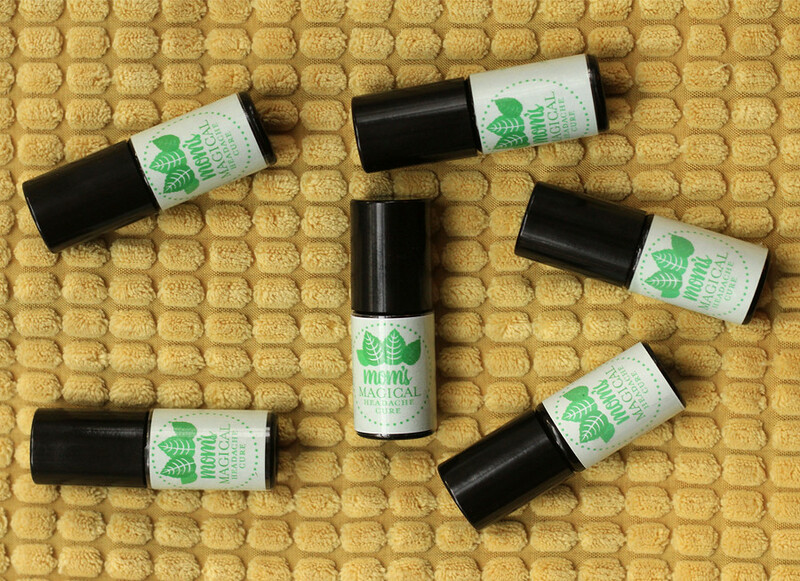 When Infinity Jars hit me up for a possible collaboration I was all over their tiny five-millimeter roller ball bottles. Aren’t they cute? Perfect for keeping in your purse for when that niggling headache shows announced! I don’t usually go for these types of blog posts unless I’m getting paid but I was already in the market for some jars, and you know me, if there is a chance to make some packaging and then give it away to my blog readers (aka my ten friends who still loyally read) I’m all over that. 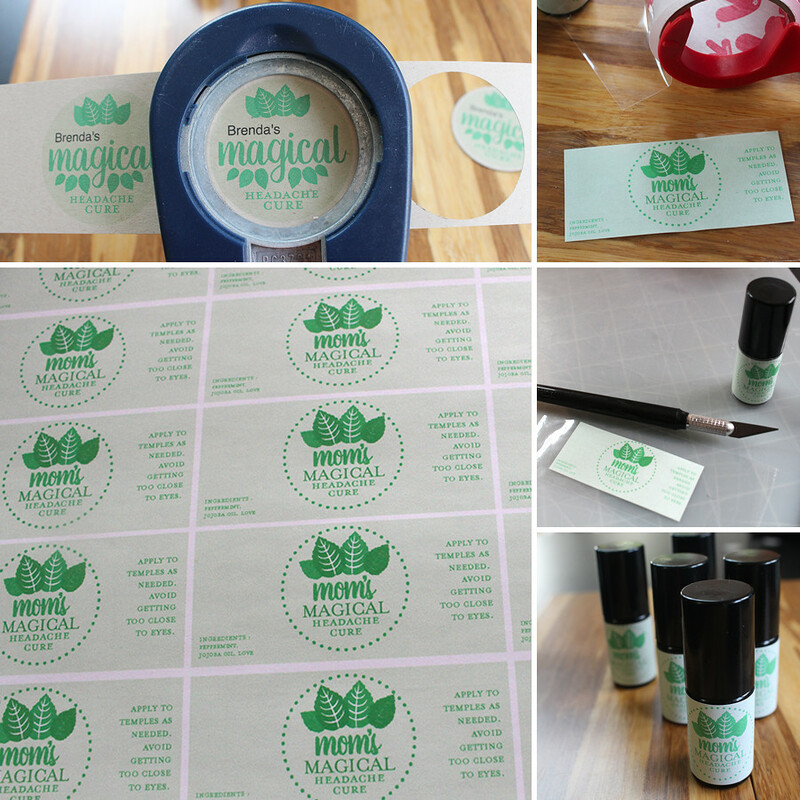 I love packaging design! It took me a few times to get it right. I tried to make some circle labels to punch out with my handy dandy punch but these jars were too small for style of label. My big circle labels would have gone right over the lid and looked like a seal, which might have been cool if we were trying to keep things fresh but who want’s a ripped up label once you open it? Not me! Rectangle it had to be. Next, I learned the hard way that oil and sticker paper don’t mix very well. That was a mess. Aren’t you glad I’m making all the mistakes first so you don’t have to?! In the end I figured out that regular old printer paper worked great with packing tape on top. Now I have everything perfected so you can make some too! Wouldn’t they be perfect for stocking stuffers? Or to give to your anxious kid so she can roll some on at school when she’s feeling stressed out? These make perfect gifts. I know because I’ve already given three away and the rest are threatening to walk away but I am protesting because I plan on giving five more away to anyone lucky enough to actually read this far and comment something funny in the comments below. YES! A GIVEAWAY like old times!! Don’t you miss those days. 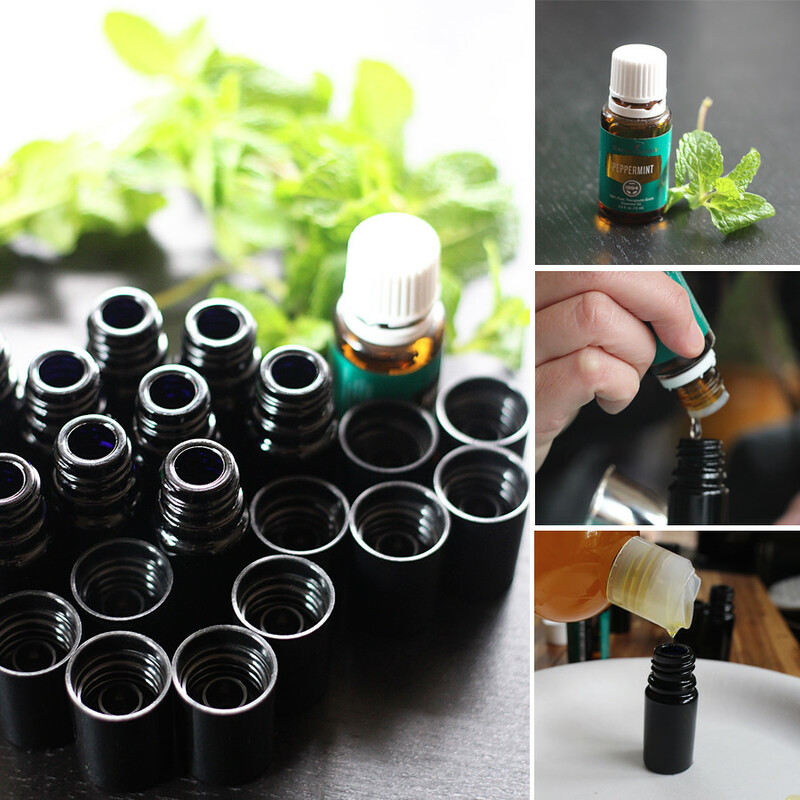 First add 5 to 10 drops of peppermint oil to each jar. Then fill to the top with your jojoba oil. This part is tricky. I tried funnels and measuring cups with pour spouts but nothing really worked without making a mess. In the end just pouring the jojoba oil in drop by drop from the jojoba’s flip top. That seemed to make the least amount of mess. Next I wiped everything up really well with a cloth lightly dipped in rubbing alcohol. I sealed my little jars with their roller balls by screwing the lids on tightly. The roller balls come in the lids and when you screw on the lids they sink into their position in the jar below. Then when you unscrew the lid the ball is stuck in the jar and ready to applicate! AND the best part is you can manually pull the roller ball out again when you want to refill. Then you reinsert the ball into the lid and start all over again. So you can use these bottles forever. Need something to comment about? How about you tell me what gives you a headache. Taxes? Hayfever? Obamacare? Kids practicing violin? Plane rides? Lack of coffee? Lack of sleep? Polkadots? Email problems? Inquiring blog writers want to know! I’ll announce the winners (chosen randomly by some method I’ll come up with) next Tuesday. *This was not a sponsored post. I received the product for free in exchange for an honest review.